Sunday - Friday: 10:45 a.m. - 4:00 p.m.
Come enjoy our delicious meat menu with Kosher specialties! Also check out our Daily Specials and our Bakery Specials. 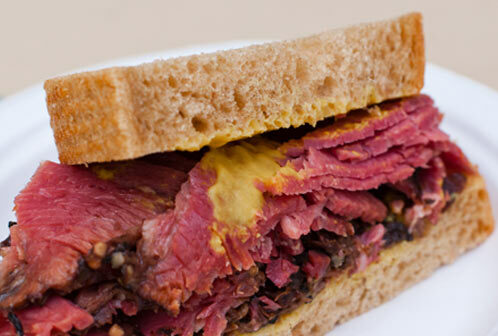 Nosh-A-Rye Deli is under the kosher supervision of the Vaad Hakehilloth of Memphis. © Nosh-A-Rye Deli. All rights reserved.